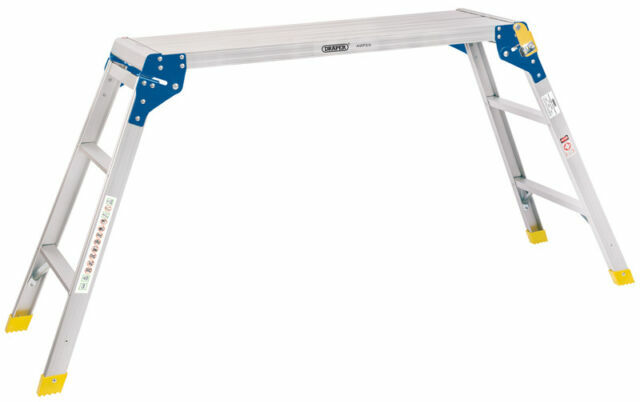 Genuine DRAPER 3 Step Aluminium Working Platform | 83998. Manufacturer Part Number Draper Tools. Manufacturer Draper Tools. Securely attached to a hinged and sprung locking clip for safety and security.